Happy New Year to you all, from the team here at Blueprint Joinery! January is the perfect time to make improvements in the home. Whether you opt for large improvements like changing to LPD doors or for smaller improvements like deciding to get a little closer to nature, the new year gives us an opportunity to brings about all sorts of changes – usually the ones you’ve been putting off! Forget the old and bring in the new; your home is your solitude, your comfort zone and it’s important to feel at ease and relaxed no matter what. Coming home to old furniture, broken doors and boring colours can really bring you down. You may want to make improvements but haven’t had time and it’s starting to become a never-ending point on your to-do list. Now is the time for a new start. We’ve put together some top home improvement tips to kick off 2018 in style. 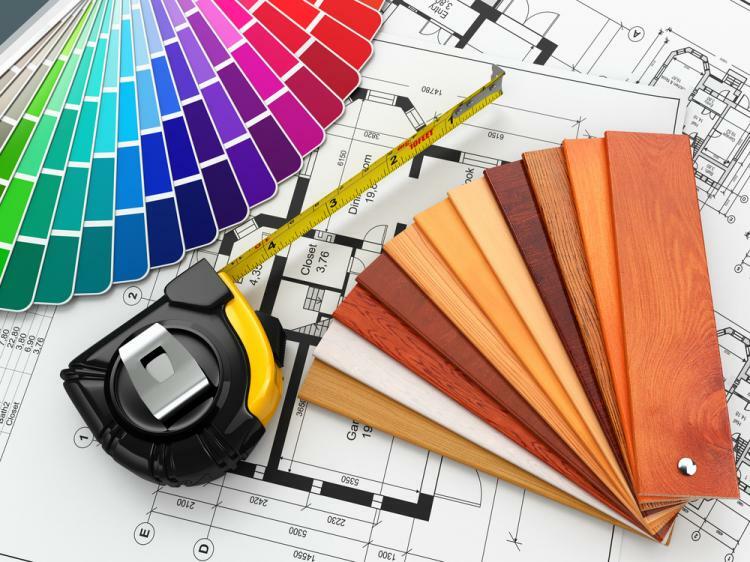 While you may be thinking of making improvements to the whole house and in every room, a good starting point could be choosing the colour of the walls. Bold colours are popular, and they can determine the warmth of the room. Red can make you feel warm whilst blue can leave you feeling cold, darker colours can leave the room feeling dark and gloomy but too much light could give you a clinical feeling. There are various shades but if you’re not keen on painting all the walls why not have a feature wall. A bright, bold colour could really add style to an otherwise simple room or you could use a wallpaper. Patterned wallpaper can really bring a room together whilst still being stylish and beautiful. It may seem that doors don’t add much to the style of your house, but that’s wrong. If your house is modern and colourful the last thing you want is an old door that’s boring and looking out of place. Mix and match with the styles of doors you choose - oak and pine doors could change the look of your room in an instant and sliding LPD doors could give you the feeling that the room is much bigger than it really is. New doors add a touch of class and can easily enhance the style of the house with ease - you could even change up your front and back doors for a complete door overhaul. The front door is the first thing any guest see’s when they arrive at your house and it could really set the tone for the impression your home gives to visitors. The smallest plants can give any room a breath of fresh air, making the room feel bigger and more open in an instant. Whilst small plants not only make you feel good, they look good, too. Adding different flowers can brighten up any dull room and you can add more personality by choosing pots and jars to hold your flowers in, as well as vases. Even a large plant can look good and bring nature inside to your home. If you’re not a big fan of the outdoors or if you don’t have a garden, adding these little touches could really change your perspective and bring you closer to nature – even if you opt for fake flowers! Adding accents to your interior décor can really make a big difference despite the smaller touches made. Consider wooden or metallic elements for an on-trend way to bring your home up to date for 2018. Adding a wooden end table could really tie together the look of the entire room and give it a warmer feeling. Metallic accents are very popular, too, as light can reflect off them in the same way it does a mirror - giving you the feeling that the room is more open. Small touches like this can make you feel at home and help you to relax knowing your home looks and feels great.